Weekend food tripping with friends has brought us to a new craze in Maginhawa--StrEat: Maginahawa Food Park. Located in Maginhawa Street, UP Village, Quezon City. 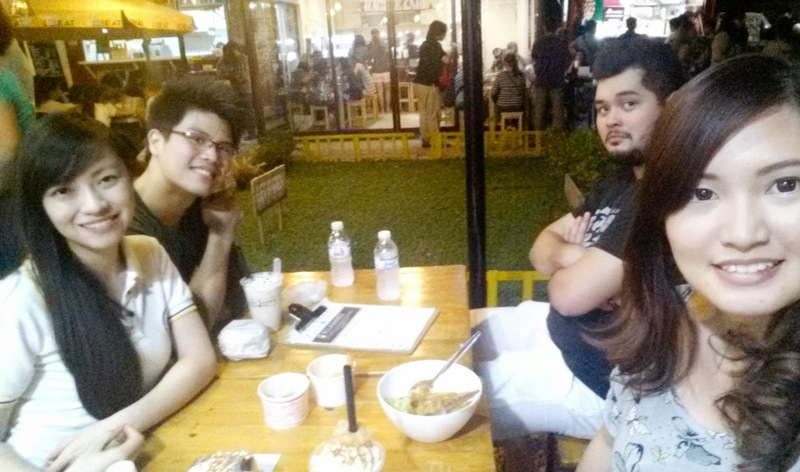 Maginhawa Food Park is a food complex, themed as a huge parking lot with trailers or cars which were set up as food stalls. 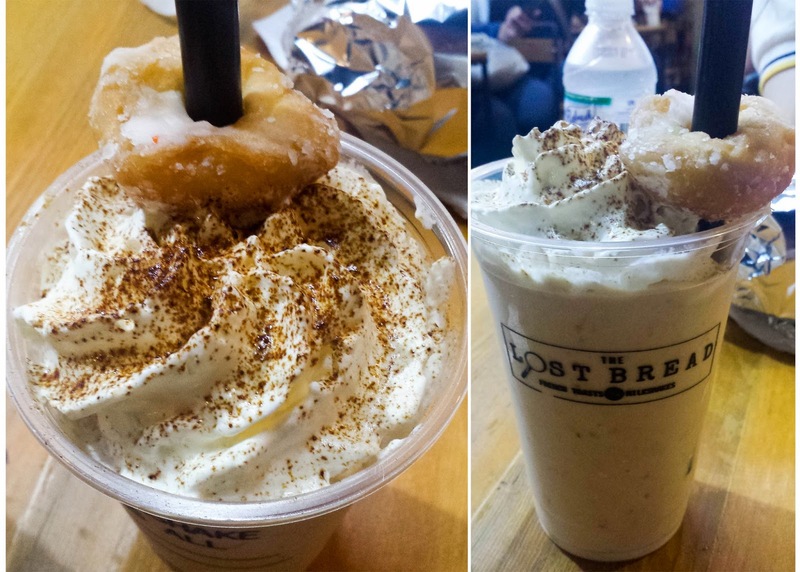 We were enticed to try out The Lost Bread's Milkshakes because of its catchy presentation (Makes me want to sing the song Milkshake because of what's written on their cups! *My milkshake brings all the boys to the yard...*) and as recommended by our other friends. The store closes every few minutes whenever they have to prepare new ingredients for their milkshakes. The Menu. We ordered The Carnival (99 Php), Doughfee (99 Php), and Spiked Cookie (120 Php). The Carnival: Caramel Popcorn, Cotton Candy, Vanilla Cake. 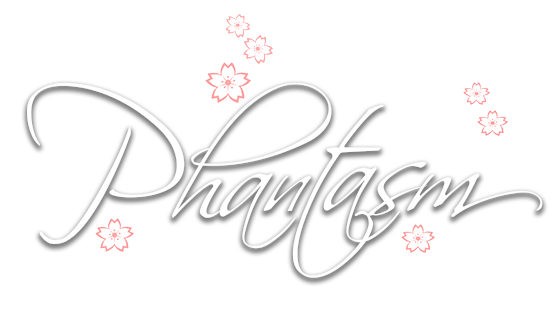 This drink is very sweet, recommended for those who have a sweet tooth for such. It's very thick and there are some chunks from the bottom of the cup that tends to clog the straw. 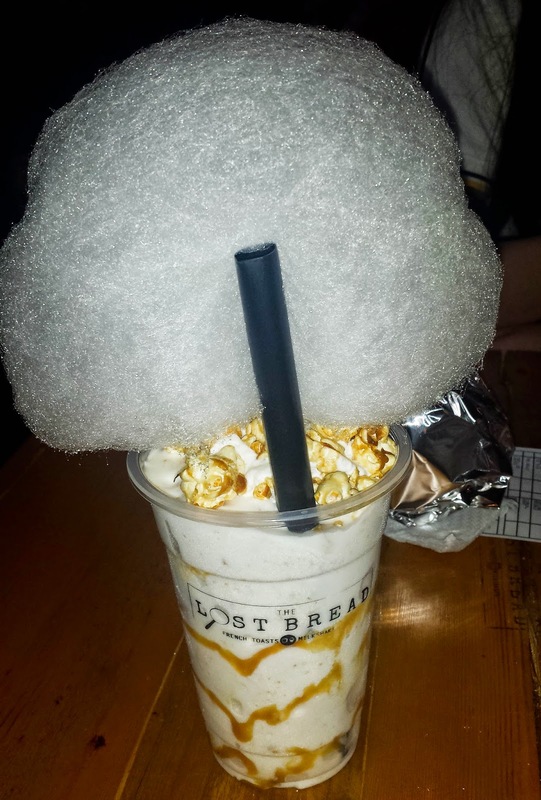 I still find this as a weird combination for milkshake, popcorn, and cotton candy. Doughfee: Donut and Coffee. I'm always fond of coffee and this was the only drink that they had with coffee and is non-alcoholic. Thick drink, with chunks that also clog the straw. The chunks tasted like soaked corn flakes and I find it as the downside of this drink. 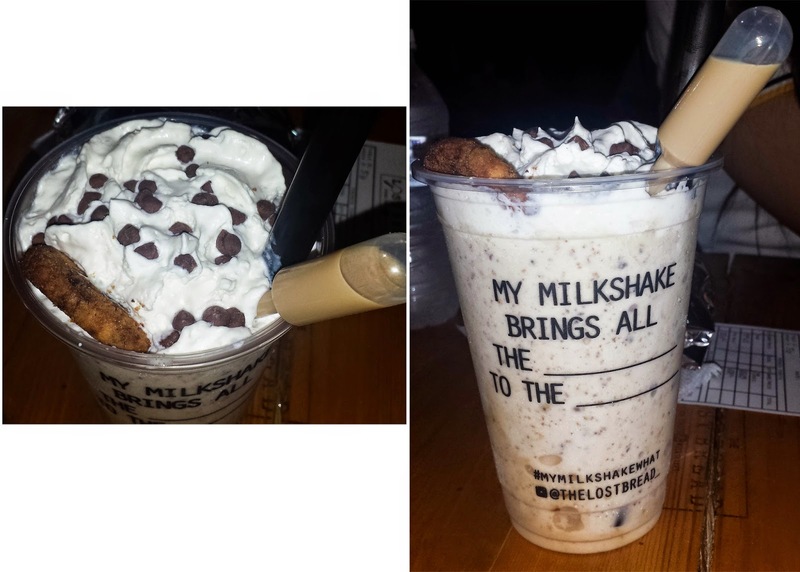 Also sweet, my expectations for a coffee-flavored milkshake got me disappointed. Donut is average. Spiked Cookie: Bailey's, Coffee, Chocolate Chip Cookies. The cookie part was disappointing. The menu says "cookies" but I can't even call it a cookie. The cookie served on top of the milkshake was only half! It just couldn't give justice to the price of the drink. Innovative presentation by having the Bailey's served in a plastic dropper. Tastes average. 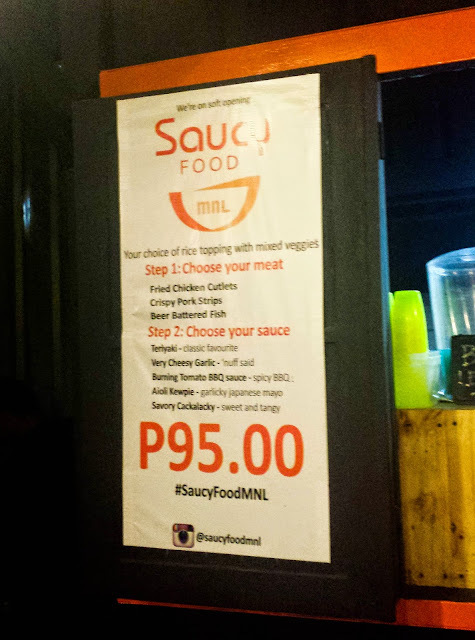 The next thing that I tried was Saucy Food Mnl. They serve rice topping dishes with veggies on the side. 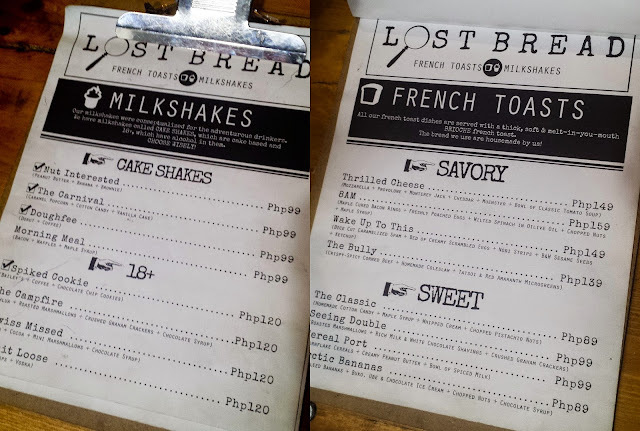 All items on the menu are for 95 Php. They would give you two steps: First, choose your meat (fried chicken cutlets, crispy pork strips, or beer buttered fish); Next, choose your sauce (teriyaki, cheesy garlic, burning tomato bbq, aioli, cackalacky). Crispy pork strips with cheesy garlic. I wanted to have the the teriyaki sauce but it was too mainstream. I asked the vendor about the cheesy garlic and she told me that it was Japanese mayo and garlic--and that I would love it. I was expecting for white mayo with garlic that would taste like sour cream but it got me disappointed. The sauce did not taste like mayo, nor was it cheesy. It tasted like mustard topped with garlic. Nothing special. Presentation wise, it looks really good, but actually tastes very ordinary. 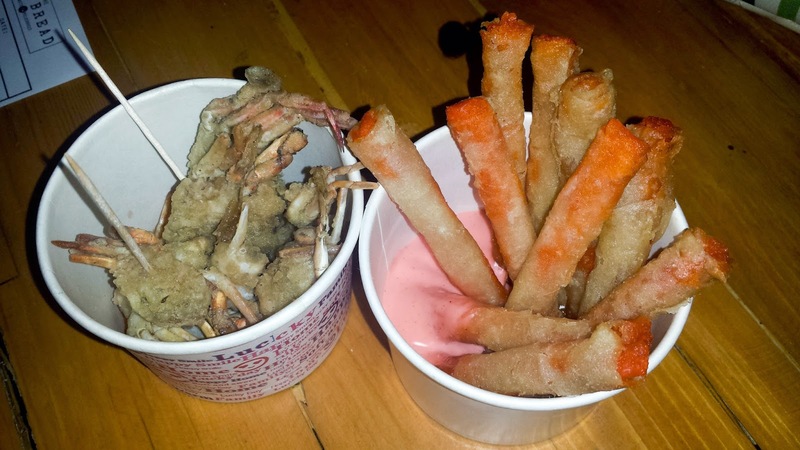 Crablets and Cheese sticks from another stall. (I was not able to get the name of it). Tastes like the usual street food cheese sticks and crablets which costs 3 pesos per piece (but costed us 70 Php). 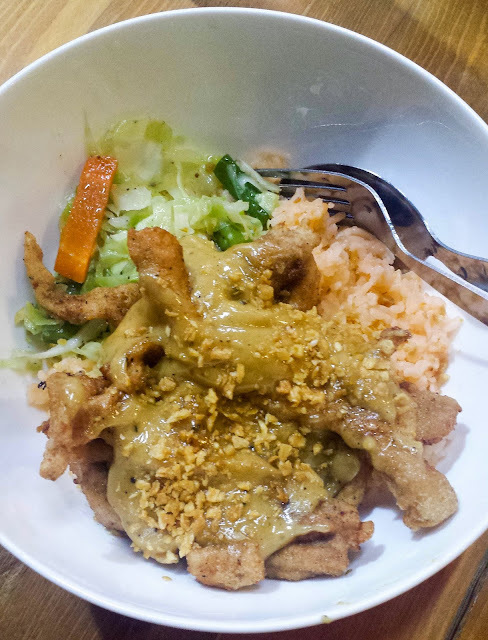 I find this expensive in Maginhawa food park. 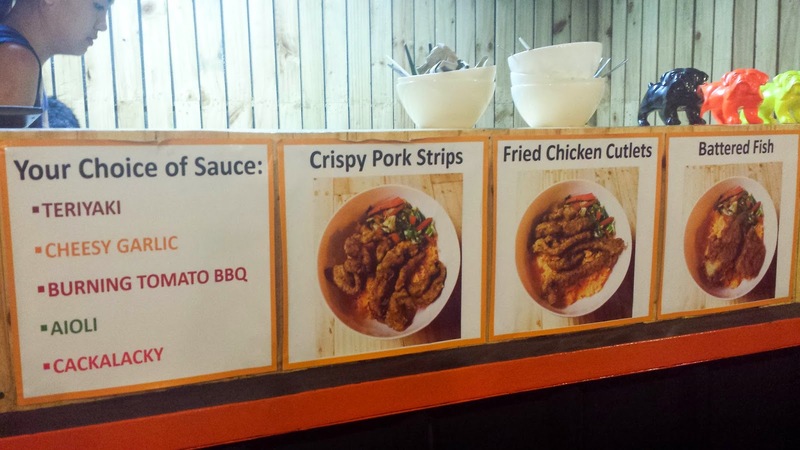 Some shops in the food park are on self-service. This means that when you order, they would not give you a number and deliver your food to you. You will have to wait and come back to check if it is ready. After eating, it is also your responsibility to return the plates and clear your table. 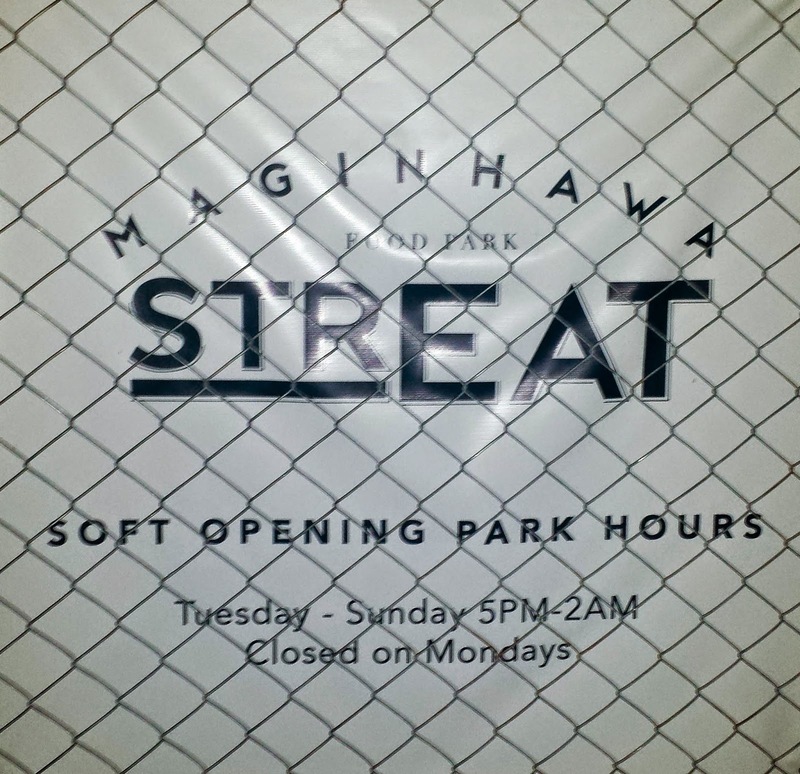 Overall, I find StrEat: Magihawa Food Park quite pricey--judging by the presentation, taste, and the amount of food that they serve. 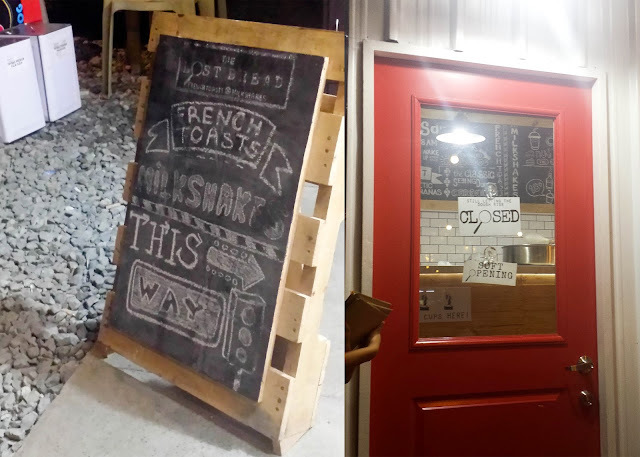 You may check this out if you want to go on a food trip since there are various choices, but it is also very crowded here. I would not recommend this place if you want to hang out with your friends and chill.